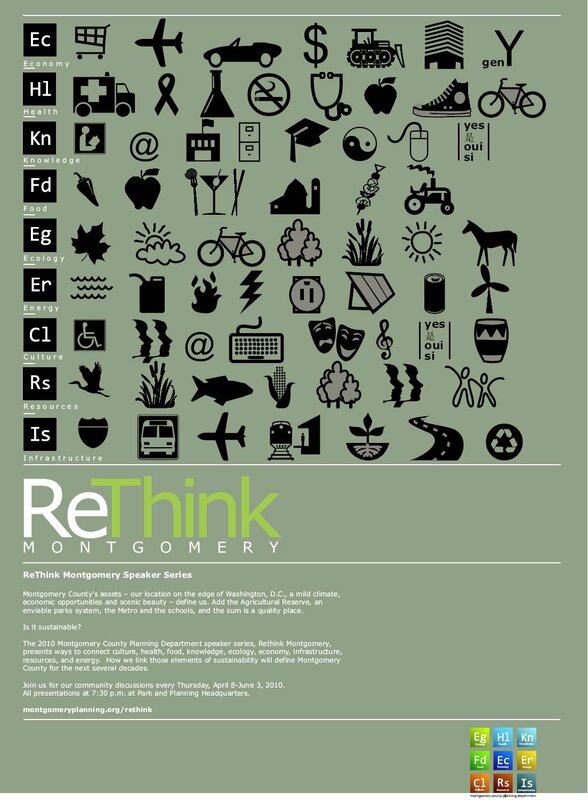 ReThink Montgomery is the name of the Planning Department's new speaker series, part of an attempt to bring a new generation of county residents into the discussion of how we'll grow and evolve in the coming years. From now through June, they'll hold eight panel discussions on different topics, including "Culture," "Health," and "Economy." This Thursday is ReThink Montgomery's first forum, "Knowledge," featuring a panel of local bloggers. I'll be there with Eric Robbins of Thayer Avenue, Rockville Central's Cindy Cotte Griffiths, Barnaby Zall from the Friends of White Flint FLOG, and Greater Greater Washington's David Alpert. We'll be talking about blogging and its impact on community planning. Getting younger people to talk about planning issues is especially relevant to me because just within my lifetime, Montgomery County has transitioned from being just a suburban, predominantly-white community to one with growing urban districts like Bethesda and Silver Spring and large immigrant populations in places like Langley Park, Wheaton and Gaithersburg. These changes aren't always visible to people in my parents' generation, who may have come to this county anticipating a homogeneous, affluent bedroom community, though some are more willing than others to embrace this new reality. Our community leaders don't yet represent this county's diversity - in race, ethnicity and religion, but also in choosing to live in an urban, suburban or rural setting. Blogging may be a way to fix that, by providing information to people who don't go to civic association meetings and giving a voice to those who won't speak at public hearings. It's not surprising to me that Planning Department staff has started a blog of their own, The Straight Line, as a means of making their work and the ideas behind it more accessible. 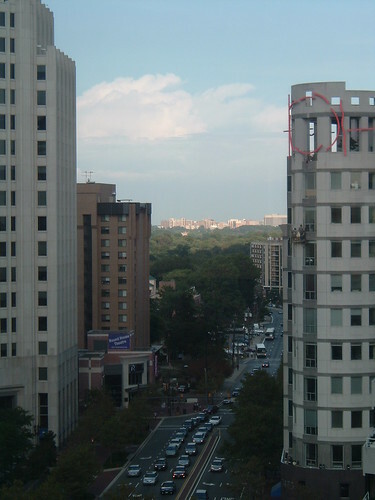 The talk (which of course is free and open to the public) starts at 7:30pm Thursday in the auditorium of the Fortress of Planning (also known as the Park and Planning Commission), located at 8787 Georgia Avenue in Downtown Silver Spring. For more information about the series, check out ReThink Montgomery's website. 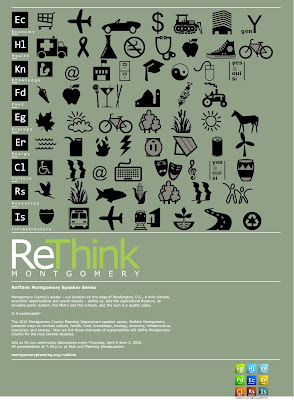 Wow - that's a really nice website over at RethinkMoCo (so much so that the Adobe icon appropriation can be overlooked). The Case Studies are fascinating and well done. Together with The Straight Line this is really interesting stuff coming out of the Fortress of Planning (as you call it). Hopefully I'll make it to some of these talks. Thanks for the tip! That's a neat poster, but it is interesting that no single family home is included among all the icons. There's a high rise, there's a barn, but no single family home. I wonder if they are trying to tell us something.